This entry was posted in Earth Changes, Earth Watch, Earthquake Omens?, High-risk potential hazard zone, Seismic tremors, Signs of Magnetic Field weakening, Strange high tides & freak waves, Submarine volcanic eruption, Submarine Volcano, Time - Event Acceleration, Volcanic Eruption. Bookmark the permalink. 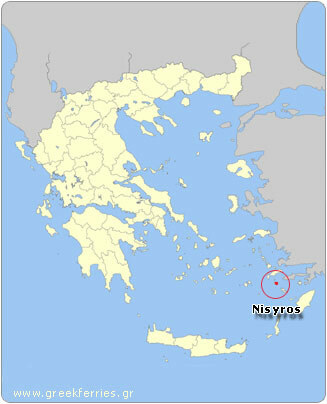 Greece and her islands have always been under the regencies of Poseidon, god of the sea and of quakes. How wonderful to see Homer quoted & a pagan God recognized. Bravo!!! This is interesting info. In my blog I jot down weekly posts regarding ‘feelings’ I get about earthquakes, volcanoes etc….without (deliberately) studying in any depth what is actually occurring around the world…as I want to stay true to just relying on those ‘gut’ feelings. Now having said that, I am no psychic, see-er etc., my latest post refers to particularly water related activity, more-so than any of my other posts. I have noticed reports, like this article, noting more activity regarding various regions’ waters. Some may think I am a little ‘left-of-centre’ 😉 But I do feel that mankind is in a time where mother earth is teaching us much more than we already may know. Let’s hope that the ‘lessons’ are not hard hitting and we can reach a new level of understanding about how to care about each other and our precious planet. In 2001 I had my first dream related to a volcanic eruption and/or earthquake coming from the direction of Nisyros going towards the bay of Kefalos on Kos Island. At the time I had a windsurfing school in the bay. Since 2002 I live in India and I still had 4-5 more dreams about this possible event/prediction. I use the word prediction, because in one dream (2005) I saw an angelic being telling me that it will happen in the summer (July to September period), but he did not tell me which year. With what I have seen from the dreams, the devastation will be enormous, not only because of the earthquake but also because of the following WAVES/tsunami.